Pattern hammered onto bowl with brass antique finish. 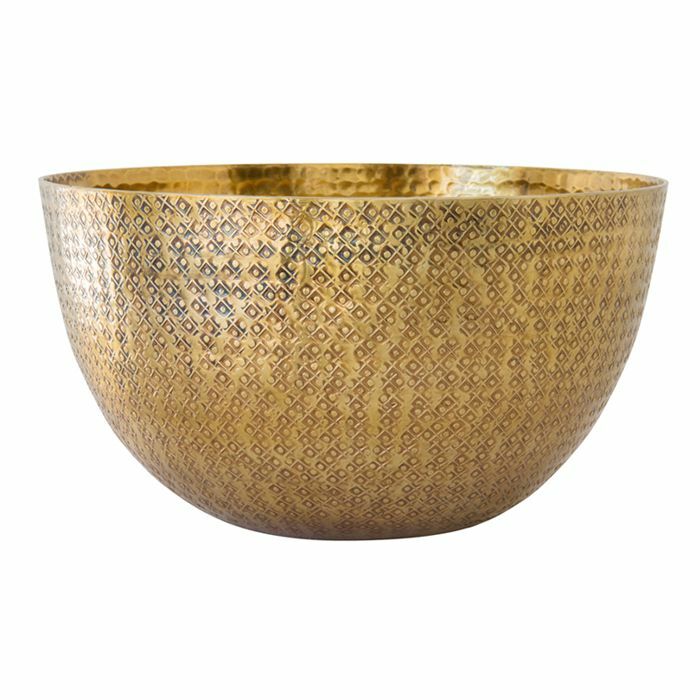 This carved vessel is made of brass with an antiqued finish. This aluminium vase has a carved design.